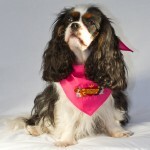 Join the Companion Cavalier Club and add your voice to the promotion of good health for the breed. 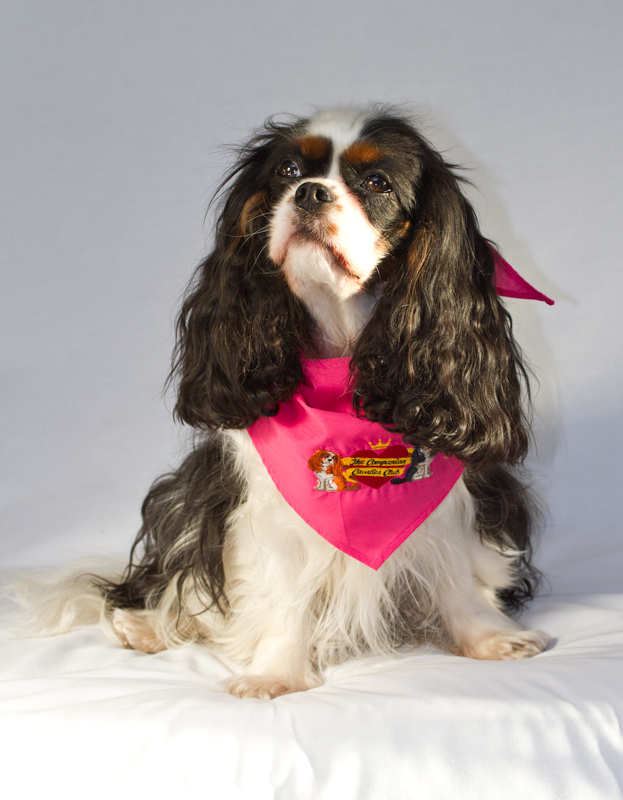 The Committee usually considers membership requests within a few days and successful applicants will then receive a delightful pink or blue bandana, modelled here by Lauren. If the unlikely circumstance of the membership application being refused, the joining fee will be immediately refunded..
We accept payment by Paypal, the safer way to pay online. Do you do any activities or fun things with your dogs? Do you have any skills which can help us run the club, the website, hold events or raise funds for research? Do you have any suggestions that may help us improve what we are doing? Read the Aims, Objectives and Rules of the Club here (opens a new window, you will not lose your form entries).